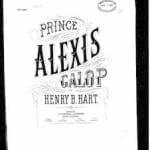 Alexander is about as popular as it gets, but this cousin from across the pond still sounds distinctive. Thanks to Emmy Jo for suggesting our Name of the Day: <strong>Alasdair</strong>. First, a confession: we’ve probably backed the wrong variant of this name. While many of us would prefer all given names to have one standard English spelling, it simply isn’t the case. We’ve said it before: until very recently, names were far more fluid they’ve become in our database-driven society. And until literacy was widespread, it was difficult – and pointless – to reach consensus on spellings. The same <em>person</em> might use more than one version of a name over a lifetime. We’ve opted for Alasdair because he appears to be closest to the original Scottish adaptation of Alexander, a name that is undeniably ancient. It’s tough to trace to evolution from the Greek Alexandros to modern day, but the Medieval Gaelic would’ve probably been Alaxandar or Alaxandair. He eventually dropped a syllable to become Alasdair. Three Kings of Scotland wore the name from the 1100s to the 1200s, and this appears to be the preferred spelling into the 1800s. The most common version in the 20th century is Alistair. This one caught on as an attempt to Anglicize Alasdair, and has eclipsed the original. He’s ranked in the Top 100 male given names in Scotland as recently as the late 1990s, and remains quite popular. None of the variants have ever cracked the Top 1000 in the US. This means you’re free to adopt the spelling that seems most sensible to you – but be aware that regardless of your choice, this one may present spelling challenges throughout your son’s life. 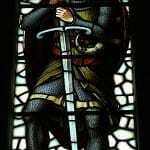 Like his source name, Alasdair means defender of men, from the Greek <em>alexein</em> – to protect or defend – and <em>andros</em> – man. To the American ear, it sounds vaguely familiar, though undeniably imported. He also sounds terribly smart, thanks to notable bearer Alistair Cooke, the legendary journalist and longtime host of PBS’ <em>Masterpiece Theater</em>. Perhaps this is also why the name feels surprisingly kid-friendly – fellow PBS mainstay <em>Sesame Street</em> parodied the accomplished presenter with a character called Alistair Cookie played by the furry blue Cookie Monster, of course. Alistair Cookie introduced <em>Monsterpiece Theater</em>. There’s also Alistair MacLean, the author of adventure novels including <em>The Guns of Navarone;</em> British royal and grandson of Queen Victoria, Alastair Windsor, Duke of Connaught and philosopher Alasdair MacIntyre. On the notorious side, we can’t ignore the early 20th century occult leader Aleister Crowley – though perhaps he’s less likely to attract your child’s attention than Alistair Cookie. Other than the question of spelling, we also suspect that Alasdair and company are limited by the lack of an easy nickname. We suppose you could use Alec – but that seems a bit forced. Ali or Aly works, but probably strikes many parents as too feminine to consider. Still, if you have a simple surname, Scottish roots, and a preference for a longer name without a diminutive, this one offers an appealing combination. Everyone will recognize it, but almost no one will share it. We’d love to meet a little Alasdair. Or Alistair. Or Alisdair. Or … you get the idea. My middle name is Alexander, my last name is Thorne. I prefer Alasdair to my first name, but “Alasdair Thorne” always evokes incredulous looks from people who think my name is made up. I’m still pining for Alasdair! The name disappeared from my list when my husband narrowed it down. Our son is due in April, and Arthur is now at the top of our list. While I love Arthur, I may still bring up Alasdair one last time once our son arrives. My husband is an Alexander, and I think Alasdair’s the perfect way to honour that connection without our son becoming a junior. 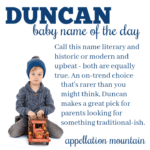 My kids are Donovan and Cordelia and neither use a nickname, so I don’t think we would need one for him either, though my husbands pick is full of fun nickname potential! I have no idea where you seen to get the misunderstanding that Ali or Aly is somehow “girly” – perhaps the American tendancy for Alison’s to be called Ali? Since you have chosen to describe a Scottish name I thought I would share some of the nicknames Alasdair’s get in Scotland: Ali, Ally (never before in my life seen it spelt Aly), Al, Ale (rare). Furthermore with names like Thomas, James and Robert it is reasonably common for nicknames such as Tommy, Jimmy (now rare) and Rabbie (as known internationally due to the Scots poet Rabbie Burns). Even with other names there is a tendency for that ‘i’, ‘ay’ or ‘y’ sounds to be placed at the end of nicknames in Scotland. Not uncommon for mother’s when the kid is young to refer to the kid as Al-bal derived from this. An Alasdair who was a radio presenter in Dundee use to be known as Ally-bally due to this rymthe as well. Myself and the Alasdairs I know would not be keen to be called Alec etc as you quite rightly say it is forced and also it seems to be a poor attempt to further anglasize the name. Alasdair is the accepted Gaelic and to some extent Scots spelling of the name though with English pronounciation as Alistair. It is common for non-Scots and growingly in Scotland, due to further anglisization of the country, to try and pronounce it Al-as-dare though this is actually incorrect. Many of the ‘t’ variations are English forms of the name to match english pronounciation. Thanks for the nursery rhyme and your thoughts on nicknames! I’ve seen Allisons (and Alisons and Allysons and Alysons) use Ali, Allie, Aly and Ally. I’ve also come across Allie as an independent name. So you’re right – where you live makes a huge difference. Interestingly, to my American ear, the Ally-Bally sounds like it uses the ɒ diphthong like in lot and pod to sound like Olly-Bolly most of the time, though a few times through the song it seems to have a aʊ dipthong that kinda puts the a and o together like mouth or howl. It’s interesting to remember that when we type a particular word as comparison, there’s no reason to believe we share the pronunciation of the comparison word, either. Aly is seen as a stand-alone female name or, less often, Ali as a male Middle Eastern name. Ollie would very much be seen as a masculine nickname here in the states. What I’d love to see is an audio or video link of the Gaelic pronunciation (by a fluent speaker) of the name Alasdair. It’s unlikely the Alasdair who posted in 2009 will return to provide one, though I’d welcome it, but maybe another will stumble across the request in the years to come. Most Gaelic references I’ve heard have a rounded awl-us-duh sound which in American English we turn in to al-us-dur, similar to Alice and Allison. I’ve only come across a pronunciation with a long a like al-us-DARE or al-us-STAIR online, but that’s the predominate guess people give when they’ve not heard the name spoken before. Emmy Jo, I love Jules and Ali. As for whether they’re girly? *Shrugs. 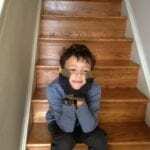 * My not-quite-4 y.o. refers to himself as Aly and he’s yet to be told that he has a girls’ name. But then he’s towering tall and sportif, so I don’t fret too much about him ever being picked on. And I’m with Lola, I like Quentin in the middle spot with Alistair at the top! I first heard of Alastair (Alasdair) years ago from reading romance novels by British authors (along with several other names that are common in the UK but not here). it felt strange at first but I came to like it, and it’s a good name to use in the US as it’s uncommon here. Especially with the right last name.. would not sound good with my last name (a lot of names don’t). For a nickname I would use Alec or Alex. Jules… sometimes my son calls his friend Julien that.. kind of cute. Emmy Jo, Quentin Alistair Grey is lovely! (Sounds equally good to me as Alastair Quentin Grey) And I love your potential “girly” boys! 😀 Even though Jules sounds manly to me! Huzzah for Alasdair! He’s my preferred spelling and yes, I’d call him Alec or AB (since his full name would be Alasdair Barnaby George MacK.) I’ve thought about Alastair (for Cooke) and Aleister (for Crowley) (He was a brillian, and misuided dude with a wicked awesome sense of humor) But have settled on the most obviously Scots variant Alasdair. That D makes me happy too, I don’t know why. And Alastair Cookie is adorable. How can you not love those twisted classics he introduces? 😀 I was fond of Alastair Cooke myself as a kid (yeah, 7 year old me stumbled across Masterpiece Theatre’s Edward Gorey beginning and fell in love). Alasdair’s not really quirky enough for him, but he sits comfortably in my #6 spot, and if we have a boy and I think he looks like an Alasdair, he’ll be one. I guarantee it. I think Alasdair’s awesome! Thanks, Verity! This one’s at the top of my list right now, and it sounds just right with our one-syllable last name. I quite like Ali as a nickname, in spite of its feminine associations; it’s an Arabic boys’ name, after all, so I think it could work in my multicultural San Francisco Bay Area. I’m still trying to find the perfect middle name for it, though, and I’m getting the sneaking suspicion that it sounds better AS a middle name. We want to use family middles, but Alistair Daniel, Alistair Arthur, and Alistair Benjamin don’t sound right. (What about Alistair Brian? I wasn’t planning to use my husband’s first name, since it feels kind of dated, but it IS Gaelic and historical — the name would be a combination of medieval Scottish and Irish kings.) Quentin Alistair Grey is my current top combo as far as sound goes, though I’m not sure if I love Quentin enough to actually use. […] Rod Stewart and wife Penny welcomed a son called Aiden.